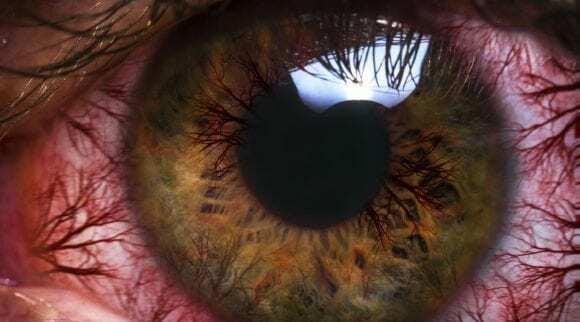 Waking up with irritated eyes is probably not the way you want to start your day, but if you suffer from eyelid dermatitis, this could be your reality. 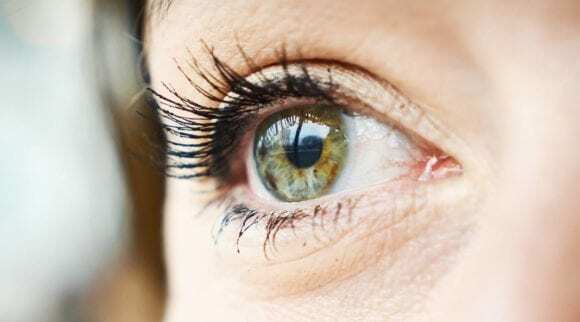 Although there is a lot of information available regarding the eyes themselves, most people do not consider irritation of the eyelids as a large issue. 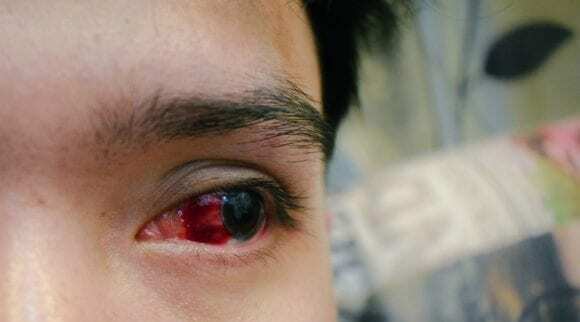 You might notice that your eyelids are red, swollen, inflamed, and irritated. While looking in the mirror, you also catch yourself unconsciously rubbing and scratching your eyelids. It is at this point you realize how sensitive the skin around your eyes actually is. This condition is referred to as eyelid dermatitis, also known as eyelid contact dermatitis or seborrheic dermatitis on the eyelids. 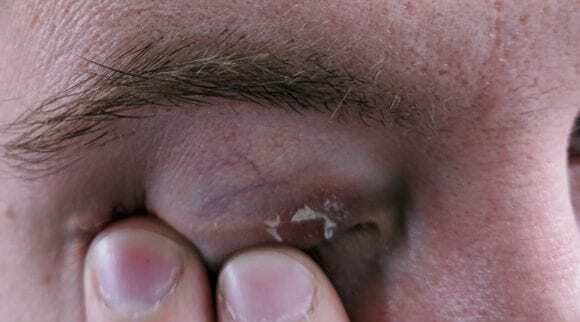 This article will further discuss eyelid dermatitis, its causes, and treatment options, along with a number of products you can use at home to address this very common problem. So, what is this weird condition? Is it actually common? Eyelid dermatitis is a broad term that covers a group of inflammatory skin disorders that are localized to the eyelids. The previously mentioned eyelid contact dermatitis and seborrheic dermatitis are specific forms of eyelid dermatitis. Let’s start with a brief description and understanding of dermatitis in general. Dermatitis is a general term that involves any inflammation of the skin. It typically involves a rash, which is often very itchy, on top of inflamed, reddened skin. The skin affected by dermatitis might further develop blisters or a crust like surface; you might even notice flaking or oozing of the skin. It has multiple causes and occurs in a variety of forms, some of which include atopic dermatitis, more commonly known as eczema, rashes, etc. Now that we have a better understanding of dermatitis, what are symptoms and causes when it is localized to the eyelids? Similar to any other form of dermatitis, symptoms may include itching, swelling, pain or a burning sensation, red or irritated skin, or even thickened skin. These symptoms are common throughout the different types of eyelid dermatitis. In this article, we will go further in-depth on two types of eyelid dermatitis: eyelid contact dermatitis and seborrheic dermatitis of the eyelids. As the name implies, eyelid contact dermatitis occurs as a skin reaction, specifically localized to the eyelids, due to a causative agent. What are the various causative agents that can lead to contact dermatitis? It can come from chemicals, irritants, allergies, or systemic issues. Unfortunately, there is no universally common presentation of contact dermatitis; its appearance will vary from person to person and depends on its cause. As previously mentioned, the symptoms you may experience include erythema (redness), vesicles or bullae (small or large blisters), edema (swelling), dryness, fissuring (cracking of the skin), lichenification (thickened skin), or even hyper- or hypopigmentation (changes in pigmentation). These symptoms apply to various parts of the skin and are not necessarily unique to solely eyelid contact dermatitis. We will now go further into the different causes of contact dermatitis and how they differ from one another. Chemical burn-induced dermatitis occurs after a single exposure to some form of a toxic agent, including strong acids or bases. In this form of dermatitis, only the skin that comes in direct contact with an agent is affected, so in this discussion of eyelid dermatitis, it is less likely to occur. 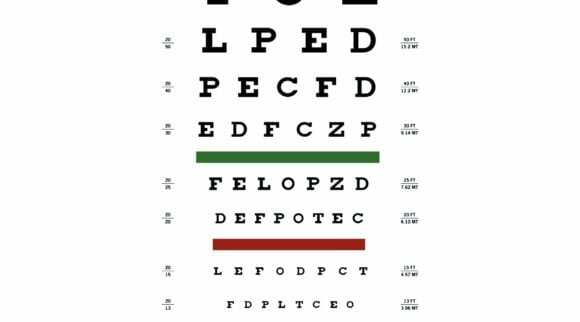 Even so, we will utilize this point to remind everyone that any time you may come in contact with such materials, it is important that you utilize the proper protection, including eye protection. Irritant dermatitis may occur after a single exposure; however, it more commonly occurs after repeated exposure to an irritant, including soaps and detergents, mild acids and bases, solvents, excessive immersion in water, or even frictional injury. Unlike chemical burn-induced dermatitis, irritant dermatitis can spread to other parts of the skin, although this is very rare, and typically, only skin that comes in direct contact with the irritant is affected. It is more common in people with a previous history of atopic eczema, sensitive skin, and other medical conditions that affect the skin. Allergic dermatitis occurs when, as its name implies, the skin comes in contact with an allergen. Interestingly enough, this condition typically occurs unexpectedly with an allergen that was previously tolerated. After this condition develops, minute amounts of the allergen can induce symptoms on skin exposed to the allergen. This type of dermatitis may also lead to a generalized spread of symptoms, called auto-eczematisation. Protein contact dermatitis results from contact with foods. Systemic contact dermatitis is a rare form of contact dermatitis resulting from ingestion of a substance that has previously caused allergic contact dermatitis. This leads to a generalized worsening of symptoms. 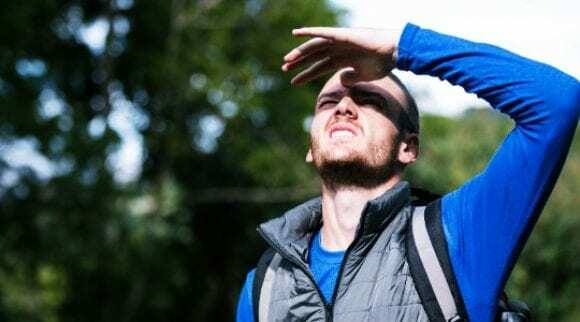 What is this other type of dermatitis: seborrheic dermatitis? Although it sounds similar to eyelid contact dermatitis, it does differ slightly in its symptoms and causes. Seborrheic dermatitis is another general form of dermatitis that can affect your scalp, or other oily parts of the body, including the face, nose, eyebrows, ears, chest, and most importantly for our discussion today, eyelids. It is also known as dandruff, seborrheic eczema, and seborrheic psoriasis. 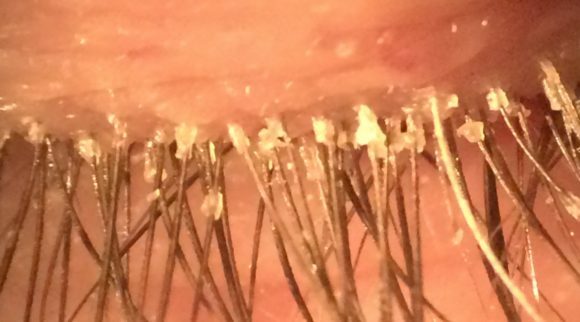 So, what are the symptoms of this form of eyelid dermatitis? For the eyelids specifically, you won’t have to worry about developing skin flakes or dandruff, however, you may notice patches of greasy skin that are covered in small flakes along your eyelids, red skin, and/or itching. Unlike contact dermatitis, the exact cause of seborrheic dermatitis is currently unknown. Many physicians believe that it may be related to a yeast, Malassezia, which is involved in the oil secretion of the skin. They also suggest that the condition may be the result of an irregular immune system response. As it is currently implied, eyelid dermatitis usually occurs bilaterally, and it can also affect both your upper and lower eyelids. The majority of eyelid dermatitis cases is from contact dermatitis, both allergic and irritant, which comprise 50 to 75 percent of cases. Seborrheic dermatitis is much rarer, only making up 8 to 15 percent of total eyelid dermatitis cases. There are other forms of eyelid dermatitis which will not be discussed in this article. Irritant contact dermatitis usually occurs minutes after applying a specific product, which is responsible for the symptoms. The pain you experience may be burning or stinging in nature. On the other hand, allergic contact dermatitis occurs more slowly with the rash onset occurring 1 to 2 days following exposure to an allergen. In both of these instances, and eyelid contact dermatitis in general, it typically affects both eyes. Unilateral symptomatology usually suggests a different condition. Unlike eyelid contact dermatitis, seborrheic dermatitis of the eyelids tends to be more chronic in nature. As previously discussed, it is usually manifested by yellow, greasy, scaly plaques that start at the eyelids and extend into the eyebrows and even forehead. Now that we understand the different types of eyelid dermatitis, their varying symptomatology, and their different causes, what about treatment? First of all, we will discuss some general preventative measures. If you notice a specific product is associated with symptoms, such as mascara or a particular eye drop, you should notice that stopping the use of that product should eliminate symptoms. If you have difficulty identifying the cause of the symptoms, seek the consultation of a physician, allergist, dermatologist, or other health professional. They can provide a medical evaluation and conduct multiple tests that will help you better identify the cause. They can perform tests including a patch test, intradermal allergy test, skin prick test, or other that will help identify the specific irritants and allergens that affect you individually. These tests all vary in duration, the number of substances they can test for, and accessibility, so discuss the different options with your physician to determine which test is best for you. Now that we’ve discussed some of the tests you can have performed for preventative and diagnostic measures, the first step to treatment for all kinds of dermatitis, particularly eyelid dermatitis, is to keep the area clean and avoid touching or scratching the area. This will help prevent further infection, irritation, inflammation, or even spreading it, depending on the type of dermatitis you are diagnosed with. Similarly, if you have identified a specific trigger for your symptoms, whether it is an environmental factor or dietary source, eliminating it is the first and most effective step for treatment and prevention. Secondly, as with many medical conditions, general hygiene is important in treatment and prevention. This applies to not only your eyelids but also your hands. If you work in an environment that is dusty, contaminated, or uses other chemical agents, always utilize the appropriate eye protection and wash your hands frequently. Luckily, all forms of eyelid dermatitis are treatable and can be successfully eliminated. As previously mentioned, identifying the cause is one of the largest factors in treatment. 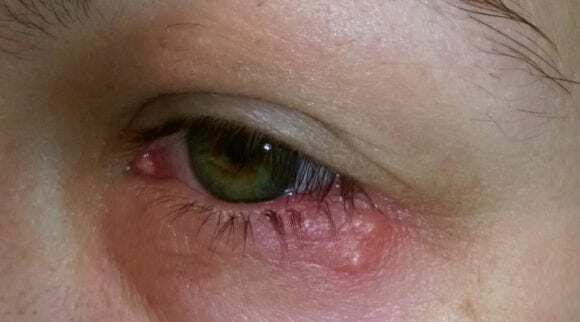 Before we discuss a few products currently available in the market to treat eyelid dermatitis, there are some at home treatments that you can try. It might take a bit of a trial-and-error process and immediately cease a treatment method if it makes your symptoms worse. At home treatment methods include cold compresses using a washcloth dipped in water, cucumber slices, or aloe vera gel. In addition, you can use various moisturizing creams, but keep in mind the ingredients that might be in these creams, as some may be the cause of your eyelid dermatitis. If your condition is fairly severe, you may also be prescribed various medications by your physician for treatment. These include steroids, which are commonly used to treat various inflammatory disorders. They are available in both cream and pill form, so please discuss which one would be better for you with your physician. Note that there are some long-term potential side effects, including immune suppression. Now we’ll discuss four products that are commonly used to treat eyelid dermatitis. 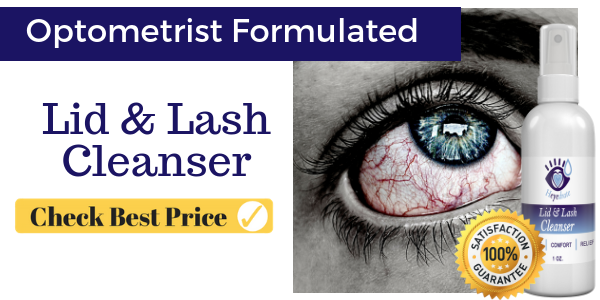 This product is a spray used to soothe dry eyes and itchy, dry, or inflamed skin conditions. The company states that the product effectively kills microorganisms, leading to decreased inflammation. It is comprised of a proprietary hypochlorous acid blend and is safe for use around your eyes. The product is also alcohol-free, fragrance-free, organic, vegan, and all-natural with no parabens, sulfates, or preservatives. It is extremely easy to use; simply clean the affected area and spray on the solution. You can gently rub it in or let it dry on its own. You do not have to rinse or remove the product. The company states that it’s most effective if used once in the morning and once in the evening and is also best used daily for maintenance. 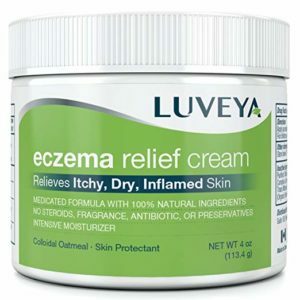 This cream is designed to help relieve itchy, dry, and cracked skin. It utilizes a blend of multiple oils and rich nutrients to not only provide relief but also further moisturize your skin. It also prevents and eliminates scarring that may result from itching and irritation. If this is bothersome for you, though, you may want to stick to a simple oil, such as jojoba oil, for moisturizing. 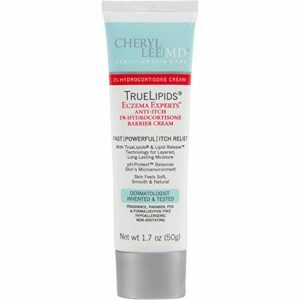 This product is a non-toxic cream designed to provide relief from itching, inflammation, and rashes. This product has been dermatologist tested and can be used to treat various forms of dermatitis, including eyelid dermatitis. The unique ingredient blend is also free of 88 of the top allergens to prevent any potential allergic reaction from use. It is safe and effective for all age groups and skin types to provide fast-acting relief, but you’ll still want to test it on an area of your skin to ensure you don’t react. 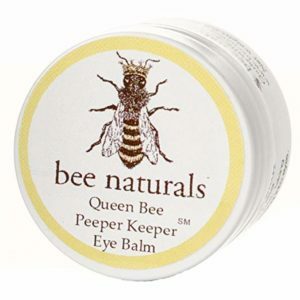 This eye balm helps hydrate and relax tired eyes. It is not necessarily a product used to treat eyelid dermatitis but is used for general eye skin health. It is designed to moisturize and soothe skin while helping to prevent the development of fine lines and wrinkles. Additionally, it can be used to help with dark circles. Simply apply the eye balm around your eyes, and it forms a protective layer while also providing the various benefits for your skin. As with any medical problems, if you suspect that you are suffering from any of these conditions, please seek the consultation of a health professional to discuss your pertinent previous medical history and further discuss treatment methods. Do not use the information provided through this article or any other internet source to self-diagnose or self-treat. If at any point you notice your symptoms drastically worsen to any at-home remedy, immediately go to the nearest emergency department or healthcare office to receive an evaluation and treatment.